El-Aaiun (Occupied Territories), April 22, 2019 (SPS) - The Moroccan forces on Monday intervened violently against Sahrawi demonstrators in the occupied capital of Western Sahara, El-Aaiun, who came out in conjunction with the trial of Sahrawi political prisoner Ali Salem Boudjemaa Saadouni. Tiflet (Morocco), April 20, 2019 (SPS) - The local prison administration of Tiflet 2, Morocco, on Friday morning ransacked Sahrawi political prisoner, Bashir Abid Mahdar Khada, one of the Gdeim Izik group, in a humiliating and degrading manner. 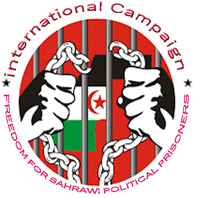 El Aaiun (Occupied Territories), March 28, 2019 (SPS) - Sahrawi political prisoner Embarak Daoudi was freed on Thursday following expiration of unjust sentence issued against him five years ago by the Moroccan occupation authorities. Tiflet (Morocco), March 18, 2019 (SPS) - Sahrawi political prisoner of Gdeim Izik group, Mohamed Bourial, has announced at Tiflet 2 prison, east of Rabat, that he will initiated an unlimited hunger as from Wednesday. Boujdour (Occupied Territories), March 17, 2019 (SPS) - Sahrawi student Brahim Babiet was brutally attacked on Saturday by Moroccan forces in front of the so-called Omar Bin Al-Khattab Preparatory School in the occupied city of Boujdour, on the background of his activism in the school movement, leaving him with injured elbow. El-Aaiun (Occupied Territories), March 9, 2019 (SPS) - Moroccan forces on Friday intervened violently against Sahrawi women who went out to demonstrate in the occupied capital of Western Sahara, El-Aaiun, on International Women's Day. The occupation forces have besieged Sahrawi women in the area of the so-called Colomina before they intervened violently, which led to many casualties among some of them with serious injuries. Bouzkaren (Morocco), March 02, 2019 (SPS) - The local prison administration of Bouzkarn, Morocco, on Thursday transferred Sahrawi political prisoner Yahya Mohammed Alhafed Izzah to a hospital in the city of Guelmim after a severe deterioration in his health condition. Shaheed Alhafed, February 2, 2019 (SPS) - The Ministry of the Occupied Territories and Communities has called for sit-ins on February 6, in front of the European Parliament in Brussels and the Occupied city of El-Aaiun, and another sit-in on February 12, in Strasbourg.